Do you find it difficult to find things your kids will eat? 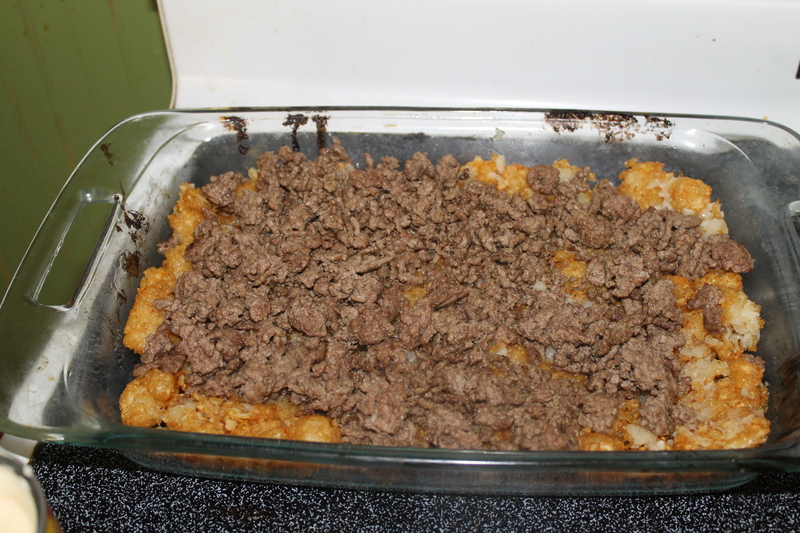 Look no further I have a kid friendly meal that your kids will love….tater tot casserole! 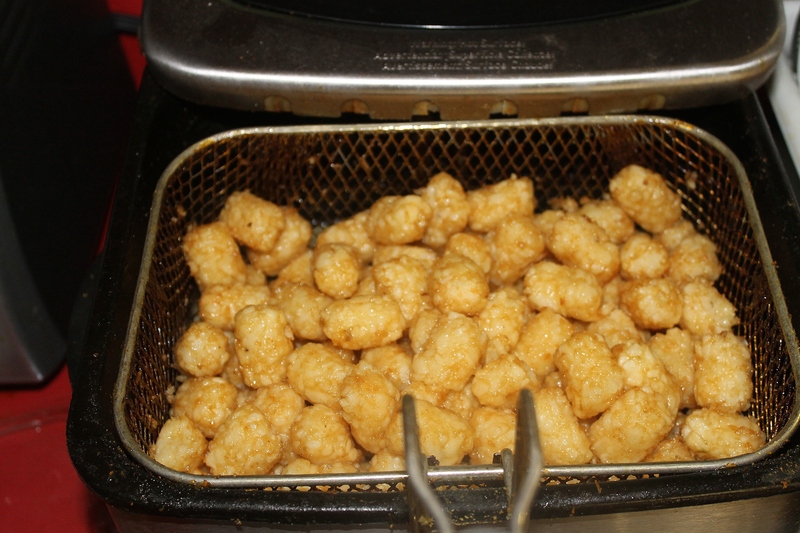 What kid doesn’t love tater tots? 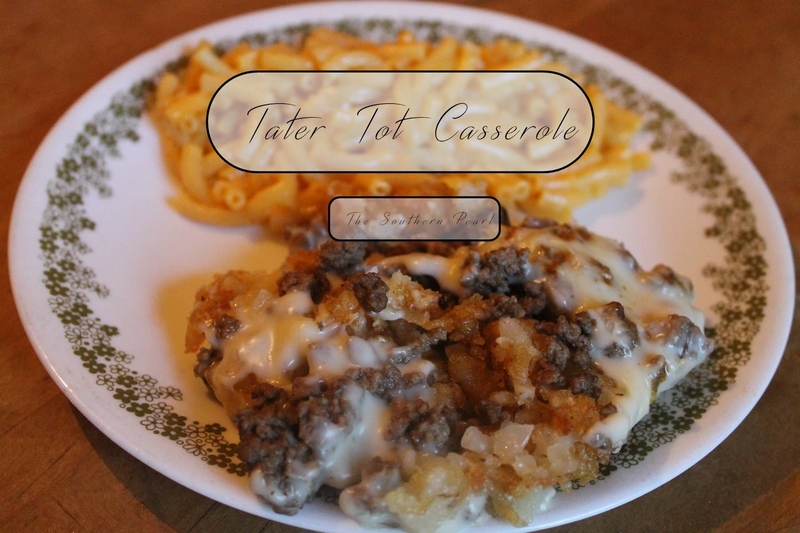 Tater tots mixed with cheese and hamburger is an instant win with the kiddos! This dish was soooo good, only had three ingredients and only cost $10!! Great taste, easy to make and cheap….you can’t beat that! Okay let’s get into this…. 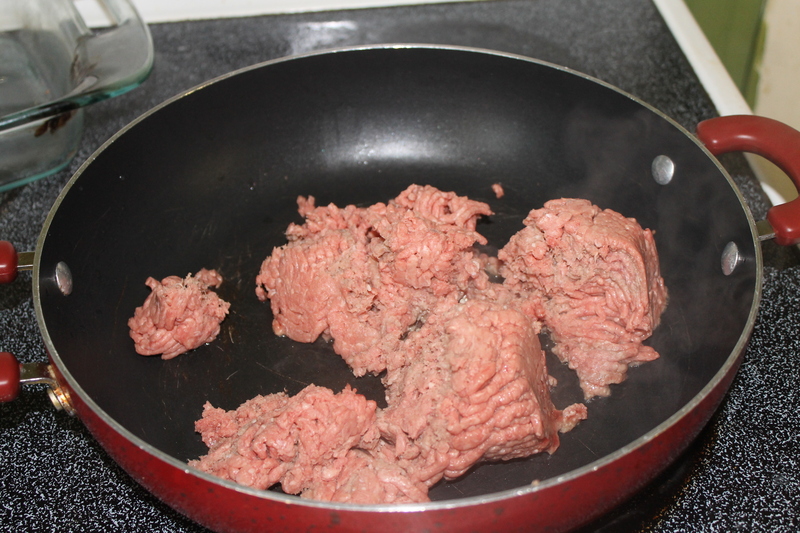 As you can tell I had already used half of the hamburger. Go read my post How I Fed My Family Of 6 For An Entire Weekend For Less Than $50 to see why I done this. 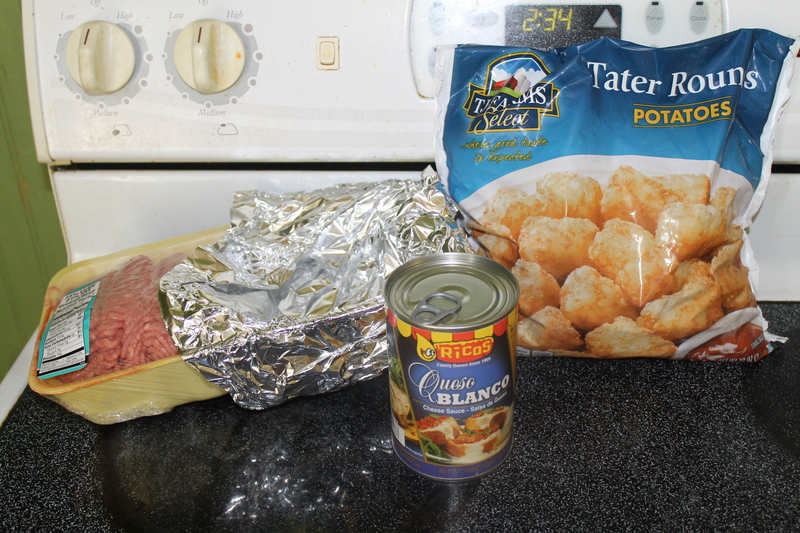 I bought the hamburger and tater tots at Save-A-Lot and the queso at the Dollar General. 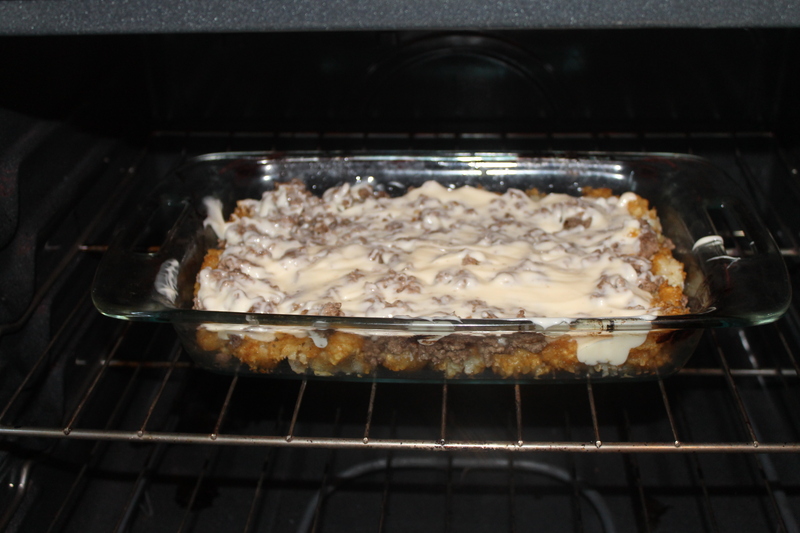 I already had a box of macaroni and cheese that I made with the casserole. I fed my family of 6 for around $10! You can’t beat that! 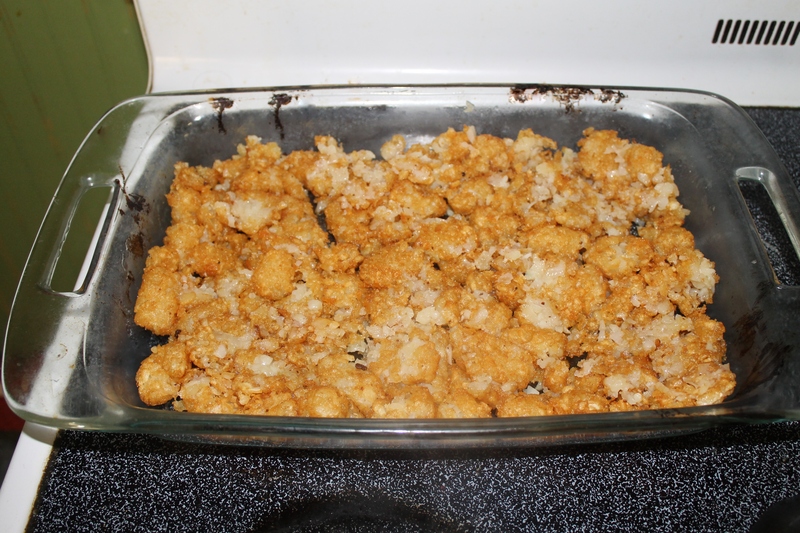 I deep fried my tater tots because it was quicker. You can bake them if you want to. Finally pop your dish in the oven! All of the ingredients are already cooked so I just put my oven on broil and allowed the cheese to melt. It didn’t take long at all! My kids LOVED this meal and insisted I make it again sometime soon. You can’t beat yummy, kid friendly, cheap, and easy to make! 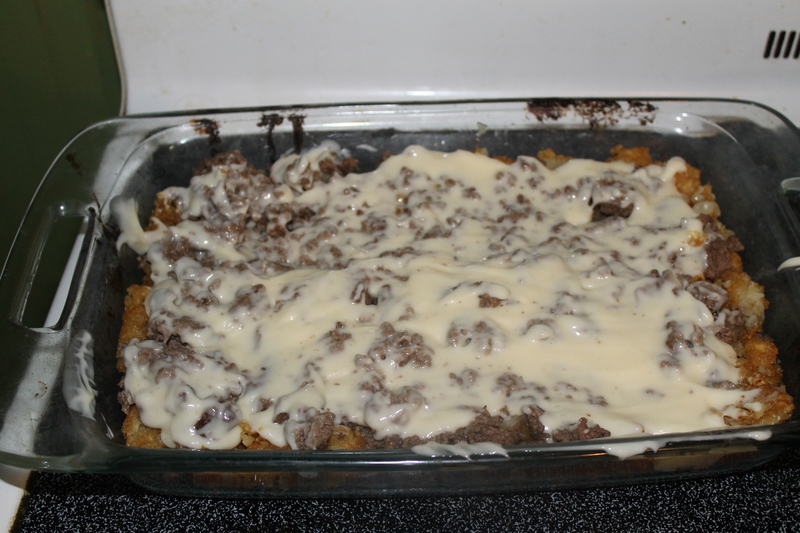 I urge you to make this casserole for your kids and see if they love it as much as my kids did!